BALTIMORE (AP) — A coalition of Muslim and Iranian-American advocates and a nonpartisan legal institute filed the first lawsuits against the Trump administration’s new travel restrictions for citizens of eight countries, including Iran, that were announced late last month. The lawsuits were filed Monday in federal courts in New York and Maryland. The Trump administration in September announced the most recent restrictions, which affect citizens of Chad, Iran, Libya, North Korea, Somalia, Syria, and Yemen — and some Venezuelan government officials and their families. They are to go into effect Oct. 18. One lawsuit, filed Monday night in U.S. District Court for the Southern District of Maryland on behalf of the Iranian Alliance Across Borders and six individuals, argues that restricting travel for citizens of predominantly Muslim countries violates the U.S. Constitution. A second suit, filed hours earlier in the U.S. District Court for the Southern District of New York on behalf of the Brennan Center for Justice at New York University, seeks to compel the State Department to comply with a Freedom of Information Act request and turn over documents submitted to the White House by the Department of Homeland Security detailing the information-sharing practices of foreign countries and justifying the decision to exclude travelers from select countries. The U.S. Department of Justice did not immediately respond to a request for comment Monday. The White House referred questions to the State Department, which declined to comment on ongoing litigation. President Donald Trump on Sept. 24 issued a proclamation outlining the new travel restrictions. Administration officials said the latest version is the result of a lengthy process, based on an objective assessment of each country’s security situation and willingness to share information with the U.S. It was the administration’s third measure to limit travel after a broad ban that sparked chaos at U.S. airports in January and numerous challenges in courts across the country. The administration later issued a temporary order after suffering legal setbacks on the earlier attempt at restrictions. The Iranian Alliance Across Borders lawsuit is filed against Trump, acting Secretary of Homeland Security Elaine Duke, acting Commissioner of U.S. Customs and Border Protection Kevin McAleenan, acting Director of U.S. Citizenship and Immigration Services James McCament, Attorney General Jeff Sessions and Secretary of State Rex Tillerson. The suit argues that simply adding two countries that are not majority-Muslim to the list is only “an effort to disguise the Proclamation’s targeting of Muslims.” Such discrimination violates the First Amendment and the Immigration and Nationality Act, the suit says. The group is asking for a nationwide injunction to stop the restrictions from going into effect. The prior ban included Sudan but didn’t include Chad, North Korea or Venezuela. The new measures range from an indefinite ban on visas for citizens of Syria to more targeted limitations. Iranians, for example, will not be eligible for immigrant, tourism or business visas but remain eligible for student and cultural exchange visas if they undergo additional scrutiny. 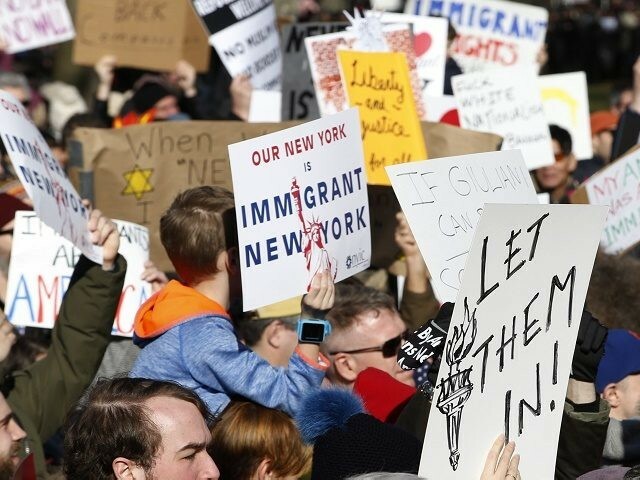 Johnathan Smith, legal director for Muslim Advocates, an organization representing the plaintiffs in both lawsuits, said the complaints take issue with both the impact of the travel restrictions and the process by which they were developed.